Walk with ChaMike in Sydney, Australia. G'Day Mate! My mate and I had five very g'days in Sydney. Aside from the fact that #ChaMike got engaged here, this was also the first country we visited together outside Asia, so Sydney was quite special for us. 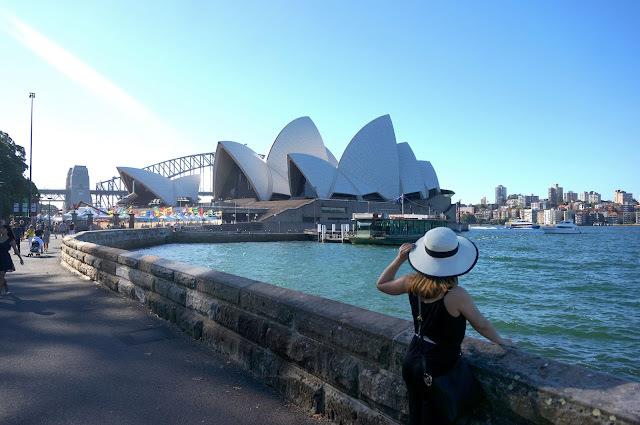 This highly developed country instantly became our favorite - the iconic Sydney Opera House and Sydney Harbour Bridge, the dreamy surf beaches and our close encounter with koalas and kangaroos (to name a few) made this trip even more memorable. So for anyone of you who want to visit the land down under, I listed down the things you need to consider before planning your trip to Sydney, Australia. 1. Australia is located in the southern hemisphere below Asia. Sydney even Melbourne are not the capital of Australia, it's Canberra. Australia is a country and the smallest continent just below Indonesia. 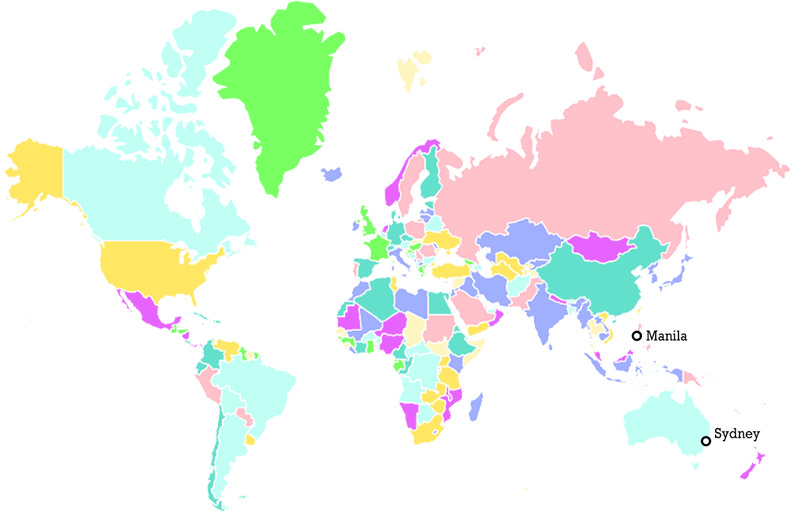 Travel time from Manila to Sydney takes about 8 hours and 20 minutes. And yes, Canberra became the nation's capital as a compromise between Australia's two largest cities/rivals Sydney and Melbourne. 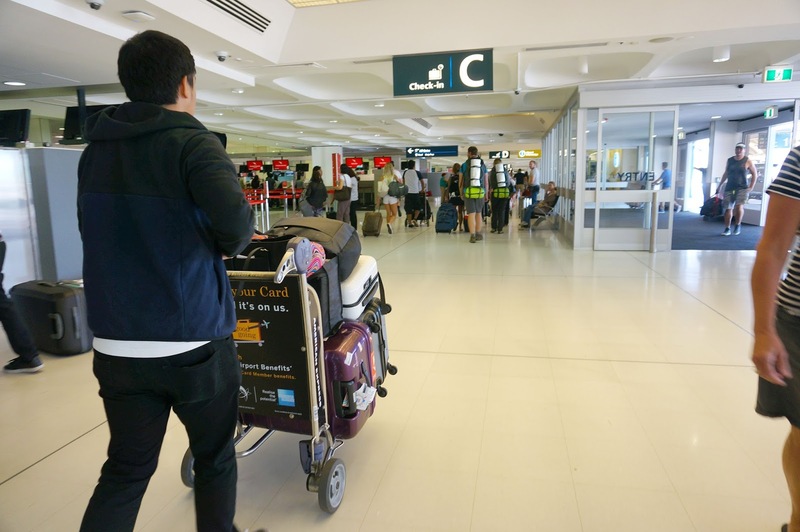 Filipinos are required to apply for an Australian Visa. 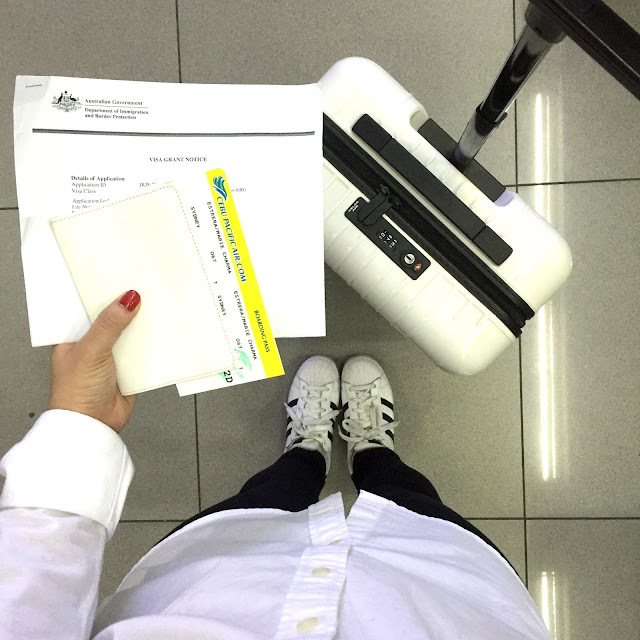 Note that processing time of Australian Visa takes about 1 month, so better fix it ahead of time. Luckily, Mike and I were given multiple entry visas good for 1 year. It was just recently when Cebu Pacific paved its airplane doors to Sydney and we were fortunate enough to score a seat sale! Woohoo! So for only P8,000 back and forth per person we were able to visit the country. Other airlines such as Philippine Airlines and Qantas service direct flights to and from Sydney as well. Daylight Saving Time is implemented in Australia on a scheduled basis. We experienced DST when we went there so Australia was 3 hours ahead from Philippine time. During standard time, Australia is 2 hours ahead only. When you're not used to the sudden change in timezone, most likely you'll get a jet lag. Mike and I actually had one when we got back to the Philippines. Hahaha. We were asleep as early as 9pm and wide awake at 4am for a week! That's because it was 12mn and 7am in Sydney respectively. 5. Australia experiences four seasons. Like all countries in the southern hemisphere, Australia's seasons are opposite to those countries in the northern hemisphere (US, Japan & Korea). 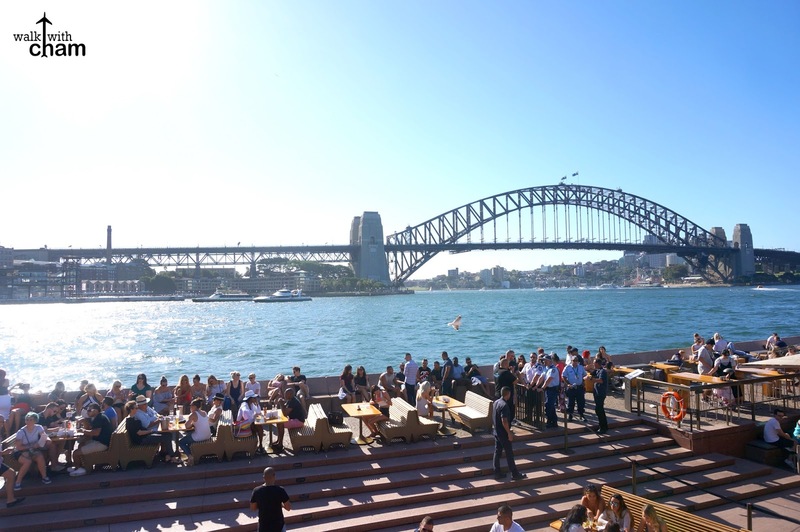 Sydney is a sunny city which is why it is a city enjoyed by a lot of tourists. December to February is the summer season, autumn occurs from March to May while June to August is winter and then the spring season is from September to November. Mike and I visited Sydney during the end of summer and the start of autumn so we kind of experienced both seasons - in the morning and late afternoon to evening the weather was pleasant, perfect for walking but in the afternoon it was sunny and hot, just right for your beach trip. In the year 1700's Australia was a British settlement hence the reason why people of European descent have formed the majority of the population in Australia. This is already a given when you're in the area's hottest spots. Location is really important when I travel and being a budget traveler it was a challenge looking for an ideal place to stay. 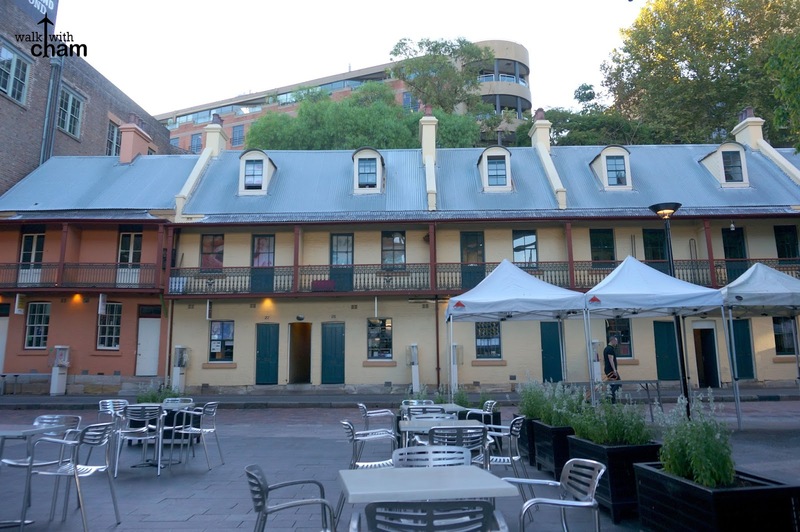 Good thing I booked in advance so I was able to get a double room in a popular no frills hotel in The Rocks District. Because the majority of Australians are British/Europeans, they have no distinct Australian cuisine. 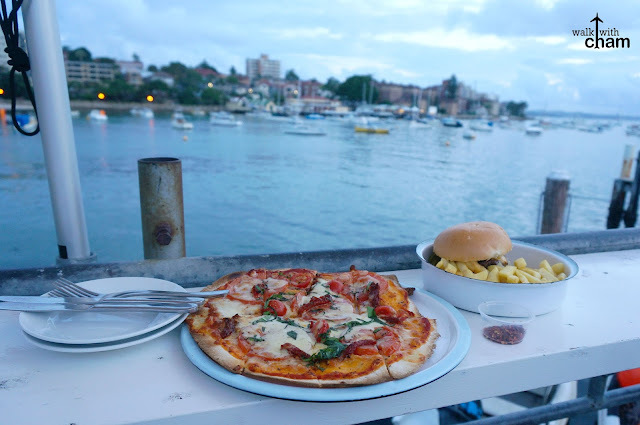 Their food offerings mostly consist of pizza, burger and fish and chips. We found a Kangaroo Pizza just beside our hotel and it tasted really good! 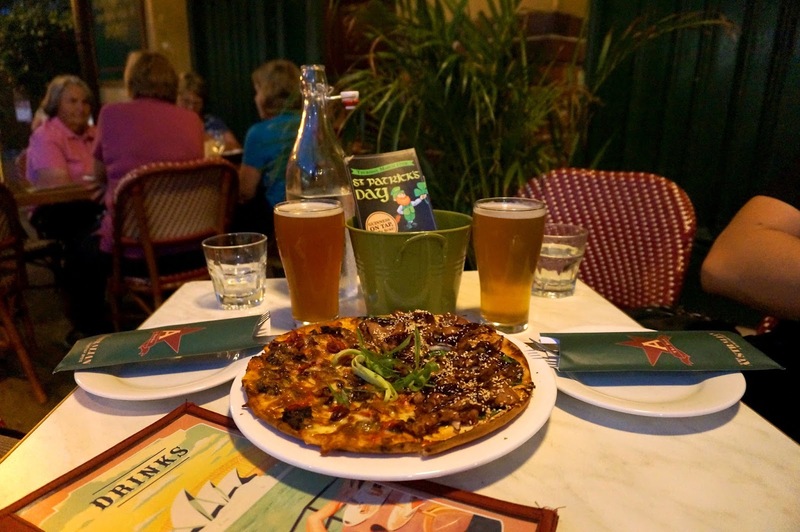 Yes, it still is pizza but I bet you won't find any Kangaroo Pizza in Europe or in other countries. 5. Going around Sydney is not that expensive. 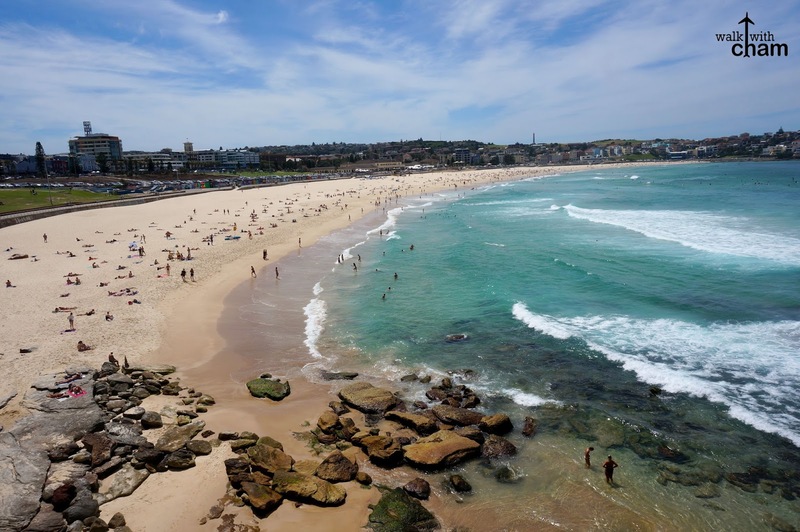 Despite the fact that Sydney has a high standard of living, tourists who wish to visit Sydney on a shoestring budget is highly possible. 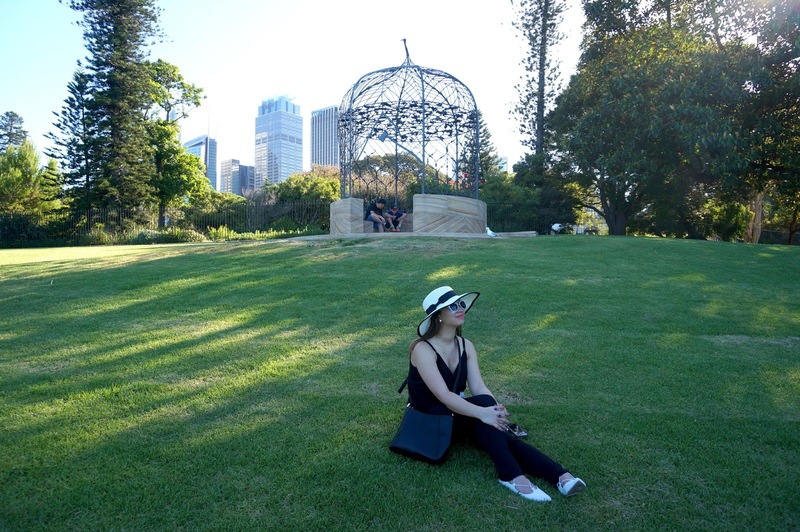 Most of Sydney's famous tourists attractions are free of charge like parks (Royal Botanic Garden, Observation Hil), beaches and museums. 6. Sydney has a great transport system. From all the trains/monorails/subways I tried like in Japan, Hong Kong, Singapore, South Korea and China, it was only in Australia where I experienced this kind of seating arrangement. Almost all the intercity trains are double decker and has a two-seater and three-seater arrangement. 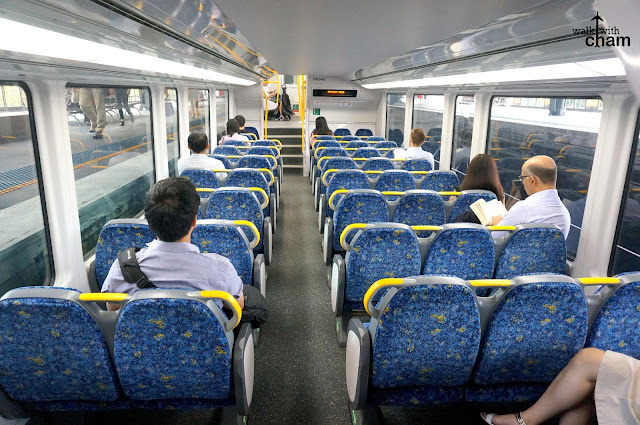 Plus, you could even easily flip the direction of the seats to face either the front or the back of the train, depending on your preference & the direction of where the train is headed during your trip. Mike and I noticed it on our first day. We were amazed that the sun was still up even if it was already 7pm! Longer days meant we can have a longer stroll around the city. They say that during summer, Australia experiences what they call Summer Solstice where it has the longest time from sunrise to sunset. During our visit, sunset was usually 7:30pm. View from our hotel at 7:00 pm! 9. Most of the stores close early. As early as 5:30 pm! Yes, you read that right! 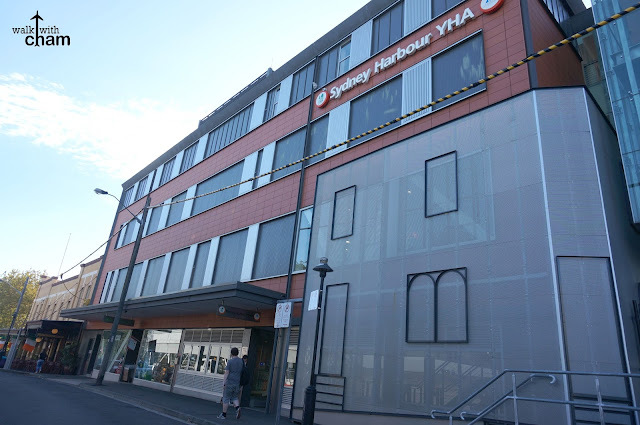 Most of the stores in Sydney are open seven days a week from 9am to 5:30 pm except on Thursday when most of the shops are open until 9pm. Although there are convenience stores that are open 24 hours or until 12mn. kroo kroo kroo. The Rocks at 5:20pm, an hour ago this street was crowded. Whenever I buy something, I am used to getting receipts. I need that to track down my expense but in Sydney, they are not accustomed to do that so you have to remind them if you want to get your receipt. 11. Water is safe enough to drink from the tap. Better bring a universal charger with you or better yet buy one at any convenience stores. We had an incredible time in Sydney. 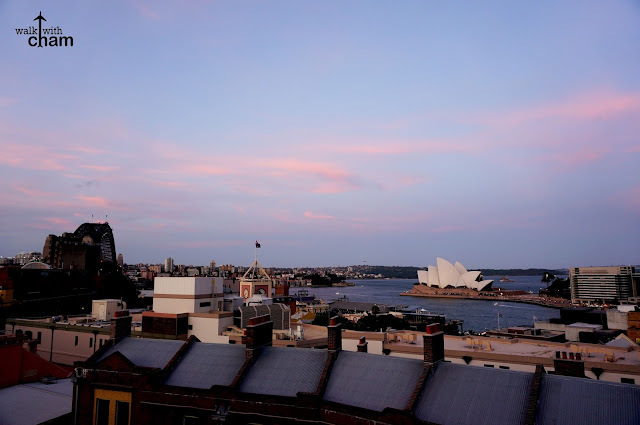 It is and will always be special for ChaMike so start planning your Sydney vacation now! 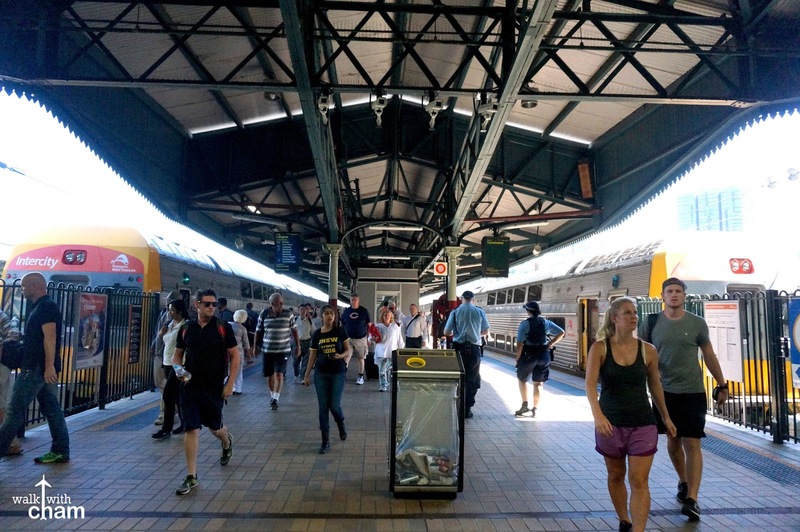 This is a very insightful article about Sydney. Thanks for sharing your experience. You should come visit Perth if you haven't already. There are so many awesome and relaxing accommodations you can try in there like Chimes which my friends and I love. Hi, may i ask if you rented a pocket wifi or simcard during your visit to Sydney? My friend and I are going this month and we didn't join a tour so we need the internet to guide us hehe Thanks! Hi Cham! Just need to present Aus Visa and Passport right? No need for any other docs? Thanks! hi cham! Very nice blog, super informative!